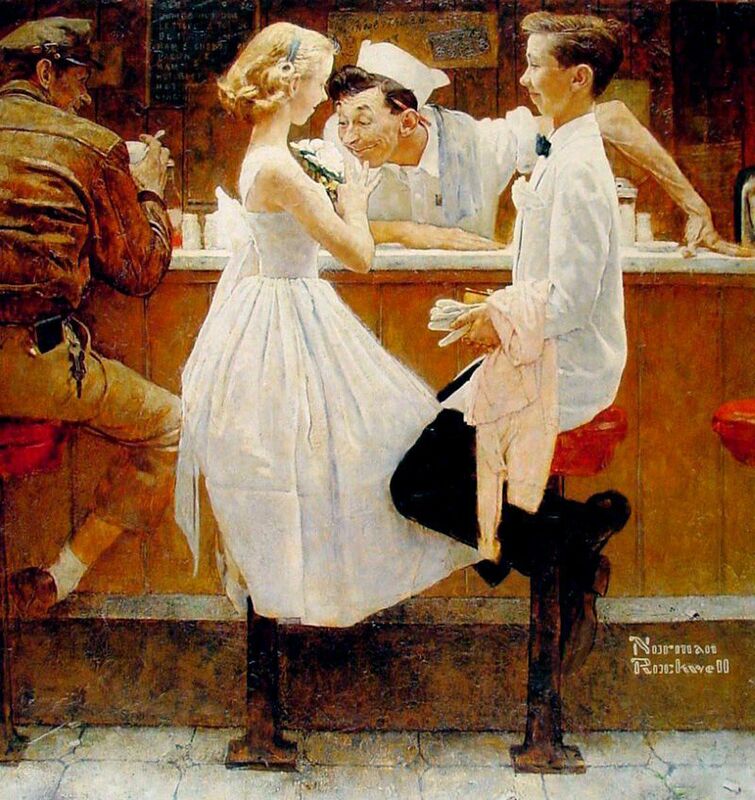 I read an essay by David Hickey about this painting - “After the Prom” by Norman Rockwell and spoke about the composition of the painting in a way I had totally forgotten about. The top of the counter and the kick rail at the bar form two overlapping rectangles. 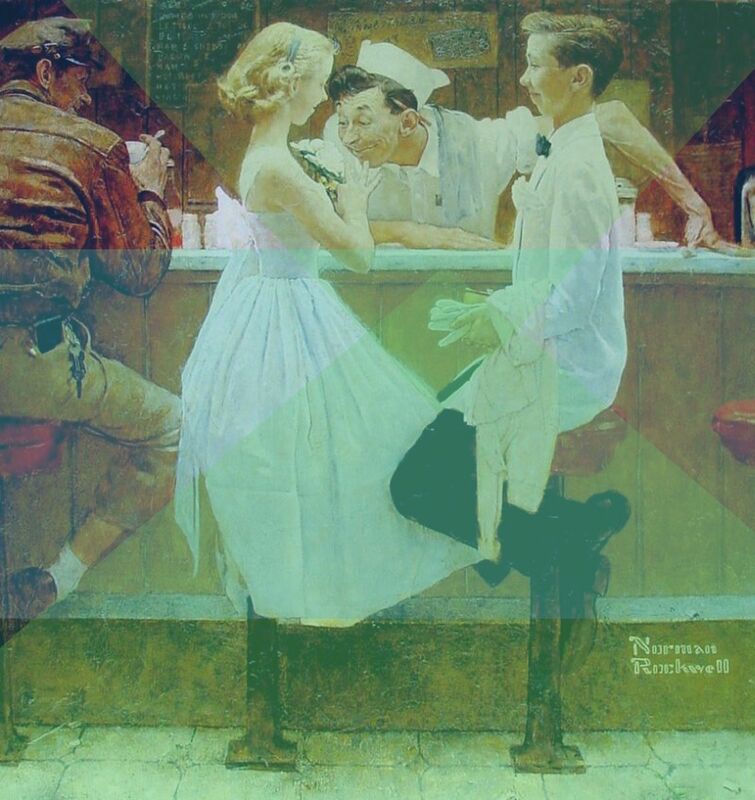 The arms, knees, elbows and eye-lines form triangles pointed inward, focusing on the moment between the young couple. The angles leading you down from the girl’s smile, to the boys hands clutching her gloves, and back up to his grin.